Each area of application for a faucet requires specific functionality. In hospital operating theatres, for example, hygiene is of the utmost importance. Electronic faucets with touchless operation are the ideal solution for these locations. 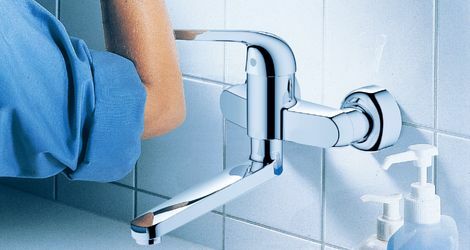 In many other public and commercial sanitary facilities, on the other hand, self closing faucets are the right choice. They are used only when needed, are safe, and are protected against vandalism. 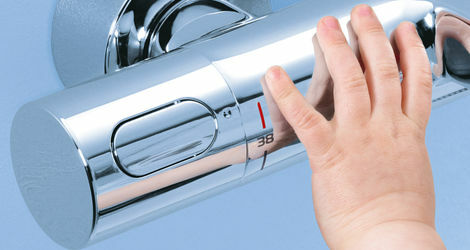 Thermostatic faucets are suitable for any shower, particularly if used by children, senior citizens or people with physical disabilities. Thermostatic faucets also enhance safety for wash basins if the sanitary installation has to operate with high flow temperatures. Single-lever mixers with convenient features, such as ergonomically designed operating levers, are a popular choice for doctors’ surgeries, examination rooms and patient rooms. Some models are also thermostatically protected or have unique ergonomic and operating logic features. 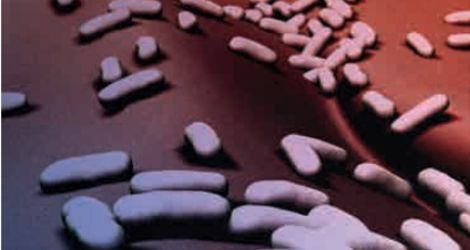 The demands on faucets in public and commercial sanitary facilities are very complex. They must first and foremost meet various – often industry-specific – requirements with respect to hygiene, ergonomics and safety. Drinking water regulations, workplace guidelines and accident prevention regulations define these requirements. Facilities in the health sector, such as hospitals, surgeries, retirement and care homes etc., have particularly high standards, as well as food-processing businesses. Value for money (initial investment + long-term operating costs), functionality and protection against vandalism and tampering are further considerations when choosing the right faucet. The convenience and benefits that the faucets provide in daily operation – such as the adjustment of flow rates, temperature ranges, automatic flushing programmes, thermal disinfection, etc. – should also be considered. Easy, intuitive operation is a key feature of high-quality faucets and helps to ensure user safety because the risk of incorrect operation is minimised. In public and commercial sanitary facilities, the functionality of a faucet must be adapted to the relevant user groups, their requirements, physical conditions and prior knowledge. Designers, installers and operators can rely on GROHE when it comes to excellence in operational safety. For example, GROHE single-lever mixers have temperature limiters, but can also be expanded to include integrated or upstream thermostats. defined intervals. Electronic faucets can also perform thermal disinfection with minimal adjustment. In public buildings in particular, faucets must be protected against tampering and deliberate destruction. To guarantee operation at all times and prevent intentional flooding, GROHE offers special solutions designed to prevent vandalism. Solutions include concealed functional elements, automatic shut-off of the water, rotation locks for faucets or the correct choice of material (e.g. stainless steel). Bright and well-lit sanitary facilities also make a key contribution to preventing vandalism by positively influencing the behaviour of users.